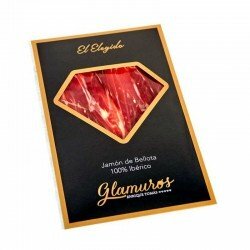 Ham is a pleasure and as experts in the field, we offer you a piece of 100% Iberico de Bellota Ham that has gone through several quality control processes and has been given the name of Glamurós. 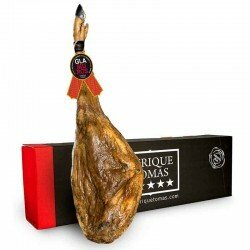 The Glamurós ham is a limited edition, a product with extraordinary characteristics that has been taken good care of, since the very birth of the pig to the most optimal moment of curing time. Approximate weight of 8 kilos. The products called Glamurós are authentic jewels of national gastronomy. 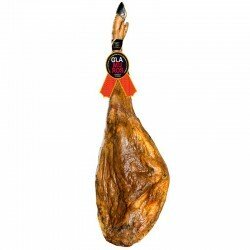 To select them, each piece of ham -Jamón or ham shoulder -paleta has undergone a very exhaustive quality control that starts from the very moment they leave the salting process until they are ready for consumption. Our specialists, who are true masters in the art of Jamón, identify the pieces that are most likely to achieve excellence very early on. 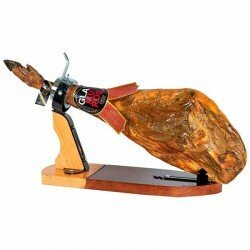 These hams are set apart from the very first control and analysed in great detail every time there is an option. Not all those which are separated from the beginning evolve towards excellence, thus throughout the 36 months of dry-curing only the perfect ones remain set apart. At the end of the process, there are only the hams worth remaining. Each year there is a different amount of around 100-200 hams. 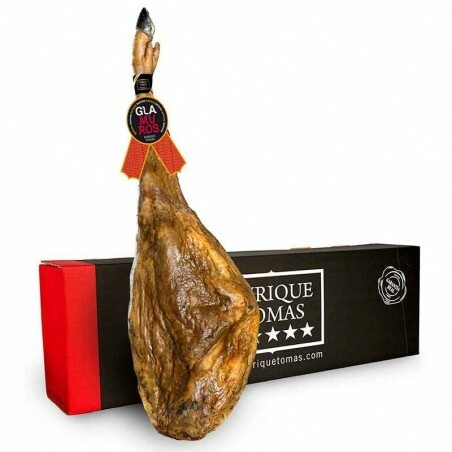 Those that meet all the characteristics of a sensational Jamón Ibérico de Bellota, are the ones that our brand, Enrique Tomás, names with the word Glamurós. The crown jewel. Quality in its purest form. 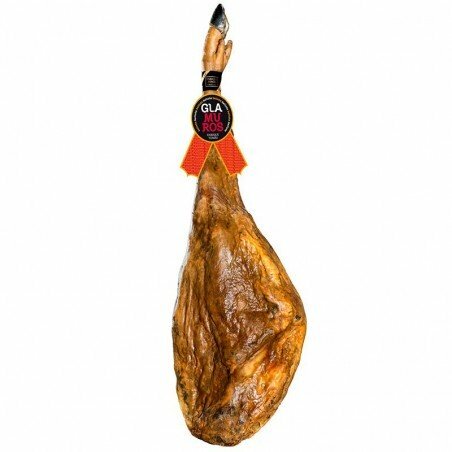 When we speak of Jamón as "Pata Negra" we always refer to the purity of the Iberian breed, that is, the pigs from which this product has been obtained are pigs with both Iberian parents, which guarantees that their meat is 100% Iberian. Iberian pigs differ from other pigs and animals in the world because of their capacity to infiltrate fat into the muscle, fat that they obtain thanks to a controlled diet and exercise during the mountain season in the pastures. Keeping one of our maxims, which says that "the best ham is the one you like the most", we can say that with one of these vacuum packs of sliced Jamón 100% Iberico bellota, you will experience in your own flesh what we mean when we say that Jamón is not for eating, but to enjoy it.